This gorgeous table is just one of our many mirrored tables. Finished with a vintage gold metal frame and a bevelled mirrored suface. Perfect for adding some vintage elegance to a living room or hallway. 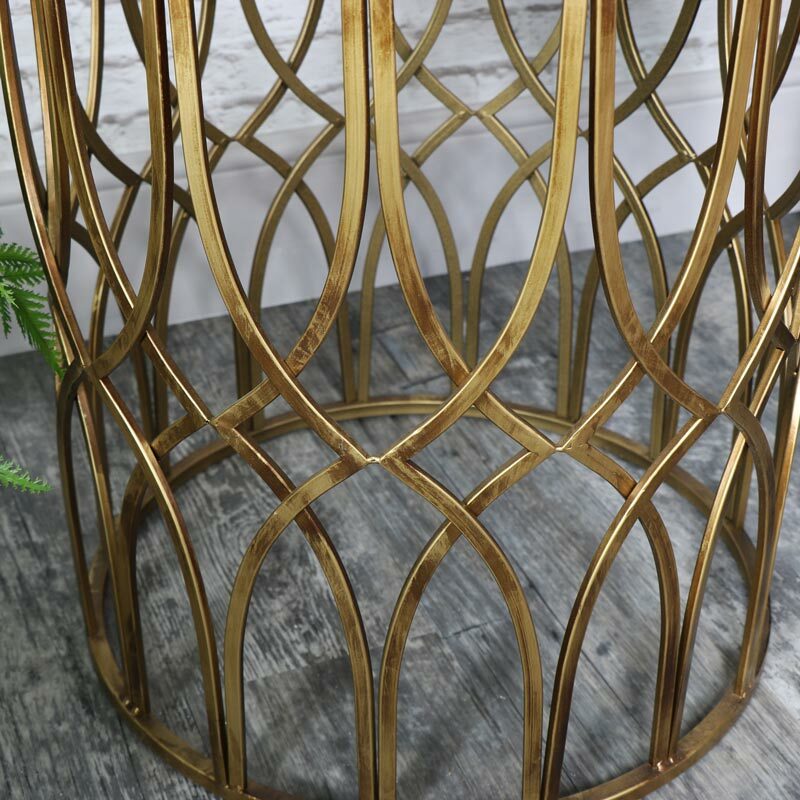 The mirrored surface adds a glamorous look with the latticed base creating a dramatic effect. Beautifully vintage look that will look fabulous in a traditional interiors. This table can easily be placed in the living room or hallway and used as a lamp, display or telephone table. 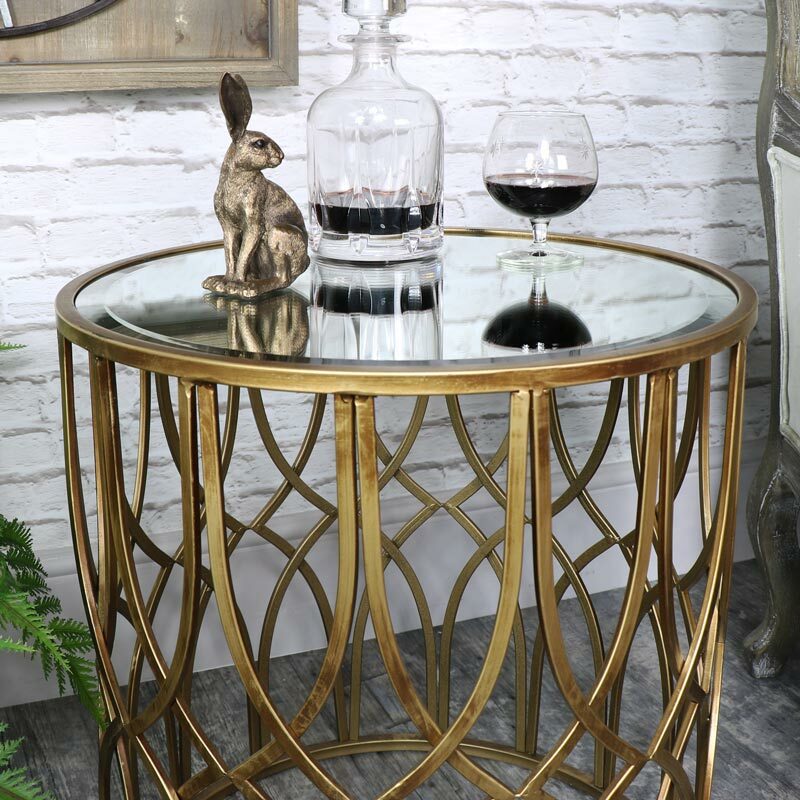 This table will add a great look to your home with a larger version available too. We also have more mirrored tables in various styles of silver and gold. This gorgeous table is just one of our many mirrored tables. Finished with a vintage gold metal frame and a bevelled mirrored suface. Perfect for adding some vintage elegance to a living room or hallway. The mirrored surface adds a glamorous look with the latticed base creating a dramatic effect. Beautifully vintage look that will look fabulous in a traditional interiors. This table can easily be placed in the living room or hallway and used as a lamp, display or telephone table. 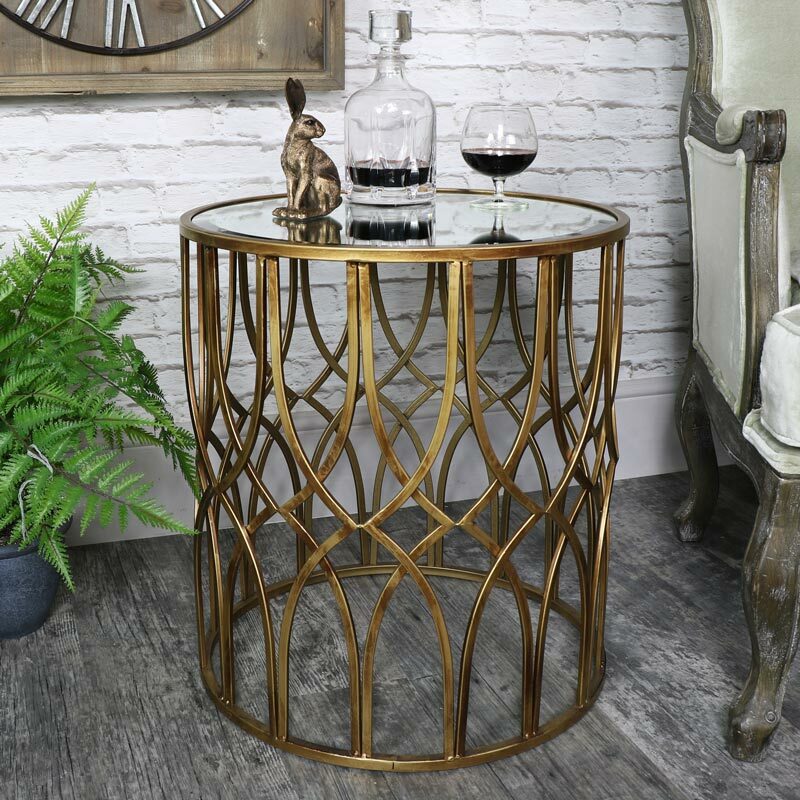 This table will add a great look to your home with a larger version available too. We also have more mirrored tables in various styles of silver and gold. The mirrored to is packed separately to avoid damages, this just needs to be placed on top. This item weighs approximately 8kgs.